Home Sport LaMelo Ball is returning to high school. Here’s what that means. LaMelo Ball is returning to high school. Here’s what that means. Ball will play at Spire Institute. He has some big-name teammates, and bigger-name opponents. 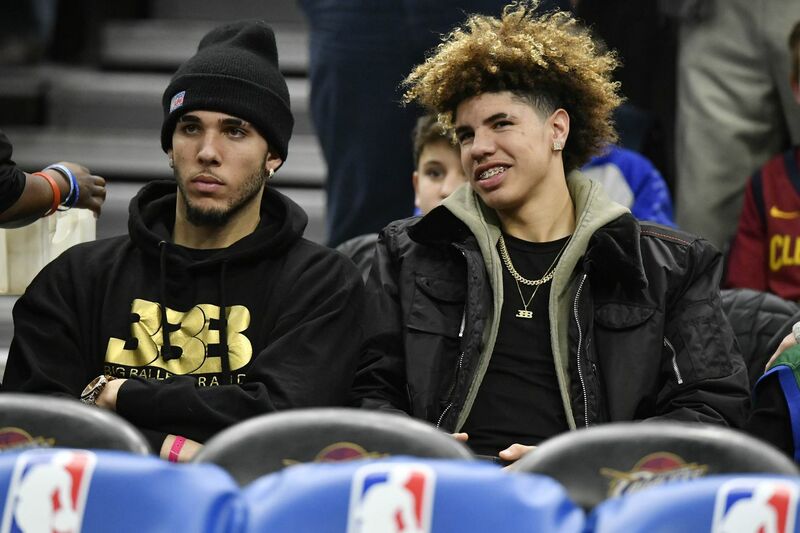 After a year removed from high school playing professionally overseas, talented basketball player and former ESPN Top-100 recruit LaMelo Ball is set to make his return stateside. Ball will return to the United States to play high school basketball at Spire Institute in Ohio, according to SLAM’s Franklyn Calle. The 17-year-old guard will attempt to salvage the public spotlight that fled him shortly after he withdrew from high school to play basketball in Lithuania last season. LiAngelo Ball has also told NBA G-League teams he plans to enter the player pool to sign a contract, according to The Athletic’s Shams Charania. Ball committed to and played in one preseason game for UCLA, but was caught shoplifting with teammates during a trip to China. Under LaVar Ball’s instruction, LiAngelo withdrew from the school and took his talents to Lithuania with his younger brother. His name was not among the 60 called in June’s NBA Draft. Why didn’t things work out in Lithuania? The Ball brothers were overmatched. The world saw LaMelo’s potential, but he wasn’t ready for professional basketball just yet. He hadn’t even finished competing in high school. And while LiAngelo impressed local media at the beginning, it was clear young LaMelo wasn’t ready for the big leagues just yet. The result showed in audience numbers — both in the stands and on Facebook — that died down over a period of three months. The Ball-to-Lithuania experiment had failed. What does playing for the Spire Institute mean? Spire’s website makes it clear: It’s an academy for high school and post-graduates athletes who are looking to train to take their game to the next level. They focus on swimming and track and field — and, oh yeah, basketball. They school also has academic options for both high school and post-grad students, meaning LaMelo will be back in the classroom. It’s also a must for LaMelo, since he cannot ever play college basketball after signing an agent before heading to Lithuania. His next stop after finishing at Spire will be declaring for the NBA Draft, entering the NBA G-League, or returning to play basketball professionally overseas. Spire’s team is headlined by 6’2 senior Rocket Watts, a Michigan State commit who’s ranked 27th in ESPN’s Top 100. The team also features 7’7 center, Robert Bobroczky. The Ball family may be from Chino Hills, California, but Spire Institute — located in Geneva, Ohio — plays against St. Benedict’s prep on Nov. 17 and will play against Oak Hill Academy and No. 2 ranked recruit Cole Anthony on Dec. 3. If LaMelo Ball wanted the spotlight, he found it in the middle of nowhere. This is a case of “should have stayed in school.” LiAngelo Ball was not as talented as his older brother Lonzo and does not have the skill set nor promise of his younger brother, LaMelo. Ball could have stayed in school and honed his game, potentially becoming a serviceable 3-and-D type player who could have been drafted in the mid-to-late first round of his draft class. The NBA G League rosters you see every fall are typically unrecognizable by wintertime. That’s because the league is infused with talent throughout the season as players returning from stints overseas/NBA veterans working their way back into the league enter the player pool. NBA G League teams can place claims on the newly available players through a rotation waiver system.